The Connectix Cabling Systems Installation Toolkit contains all the tools needed for installing data cabling in one convenient package. The kit contains a pozi-drive screwdriver for cage nuts and cabinet shelves, and a flat blade screwdriver for faceplate screws. 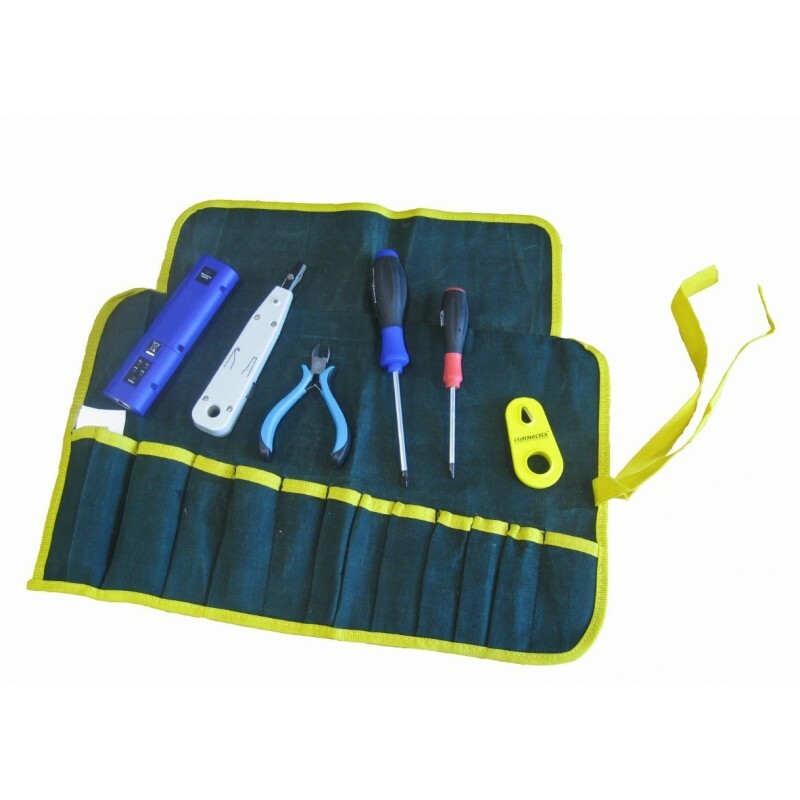 It also includes a set of wire cutters, a punchdown tool, cable stripping tool and the Connectix Tester - an easy to use diagnostic tool to confirm connectivity of installed cabling.